This past Monday, the Chargers’ front office was again busy at work, letting go of another four players. It was officially announced that Ian Scott, Cory Jackson and Jordyn Jackson have all been released from the team. Ian Scott, who was expected to battle for a starting position on the defensive line, started seven games and played in twelve, ending the season with sixteen tackles and a sack. Cory Jackson, a fullback out of Maryland, was unable to secure a spot as a backup to a talented fullback group including Jacob Hester and Mike Tolbert. Jordyn Jackson, a wide receiver out of Eastern Oregon, was in a battle for the backup receiver spots in response to Vincent Jackson’s holdout. 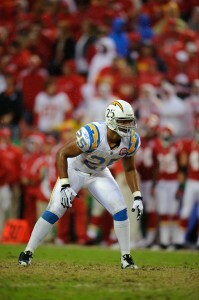 However, he was unable to prove his worth to the Chargers’ coaches. The biggest surprise was the release of Kevin Ellison, the Chargers’ starting safety at the end of the 2009 season. This release comes in light of Ellison’s recent arrest after a police officer discovered 100 pills of Vicodin in his car. After he was asked to stay away from minicamp, he wasn’t surprised that the team decided to let him go. 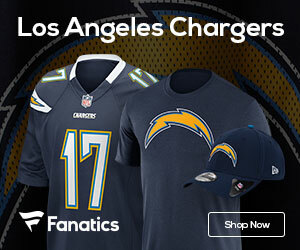 “It’s been an interesting couple of weeks… The Chargers felt they needed to move in a different direction, and now I have to move in a different direction. I’ll just let things take their course,” said Ellison after his release. A day after his release, Ellison’s former college coach Pete Carroll and the Seattle Seahawks claimed him off of waivers. The Seahawks are hoping that this former USC Trojan and sixth-round pick can help out Carroll and his rebuilding process.